Vladislav Mikucionok grew up in the piano workshop ran by his father in Pilsen, Czech Republic. After graduating from high school, he founded his own restoration workshop in Pilsen. 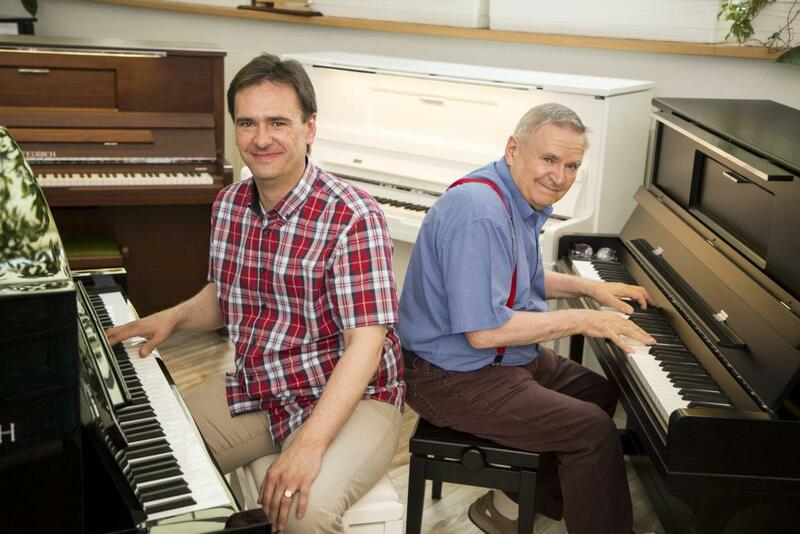 In 2002, he moved to Prague, where he opened a piano shop, exporting pianos to various countries and supplying complete services to numerous music institutions and pianists. In 2008, the workshop relocated to Vienna, Austria. Vladislav has been a key member of the team in the KLAVIERgalerie, Vienna, as piano technician and piano tuner. In early 2018, he was entrusted with the direction of the KLAVIERmanufaktur, where our flagship piano, the FEURICH Mod. 123 – Vienna – is produced. His father, Oleg Mikucionok, also learned the ropes in his trade from his father. After graduating as a master piano builder in 1795, he worked in various music institutions and restoration workshops in St Petersburg, Russia, and developed a reputation for his work as a master piano builder and piano tuner. In 1990 he moved to the Czech Republic, where he was the director of the state-run piano workshop. In 1992, he decided to become independent, and worked together in Pilsen with his son Vladislav. After relocating to Austria, his title as master piano builder was officially recognised in 2009. Since early 2018, Oleg Mikucionok has been the official master piano builder in our Vienna production facilities, the KLAVIERmanufaktur, and has been the head of training for the Feurich apprentices in Vienna.